So far in our series, we’ve covered the list, the message, the creative, the CTA (Call to Action), and the printing and mailing. What’s left? Just two things: channel integration and tracking. Let’s talk about integration. You should make the most of your direct mail campaign by using at least one other communications channel to improve its effectiveness. This extends and reinforces your campaign. It means you have more than “one shot” at getting your message out there. Imagine you’re producing a professional event later this year. You need to promote it, find sponsors, and build attendance. So you create a direct mail flyer or postcard (or both) to mail to potential sponsors and attendees. What other channels do you use, which are also common to your customers, prospects and target market, which could help you reach your conference goals? Start with Print – produce and mail a Save the Date postcard so you can get your event on peoples’ calendars. Perhaps follow it up in 6 weeks or more with a brochure. Lead people to a URL – why not print a PURL (Personalized URL) on your direct mail piece? Make sure it’s explained on the printed piece just why someone should go to the PURL. It could also be a URL (not personalized), leading to more event detail. Email Marketing – if you have a regular email campaign for customers and prospects, feature your event regularly in this publication. Make sure it’s forward-able. Web site pages or a microsite – your event pages should go online before the first direct mail campaign goes out. You’ll want to add the URL to the mail pieces, so folks can get more detail, pre-register, or sign up for further event notices. Social Media announcements – maybe your event has its own Facebook page or Twitter account. Start populating these channels with regular event updates. Always include links or tips for registration. Video blog – do you have a YouTube channel? Videos on your website? Build event anticipation by creating a series of short videos. Address things like the program, the keynoters, the venue, etc. Media announcements – this goes without saying. Your PR team needs all of the details (URLs, links to your social media channels and video posts, venue information) to announce your event to the right contacts. The first announcement breaks the news of the event itself. Follow up announcements can target topics or feature keynoters and other well-known speakers. Banner ads – what sites are most likely visited by your target audience and potential sponsors? Doesn’t it make sense to put an ad for your event on these sites? Blog about it – making sure your blog posts are informational and therefore valuable to readers, write about your event in the months leading up to it. Telemarketing and mobile announcements – if either of these channels is in your marketing “kit,” by all means, consider using them to promote the event. 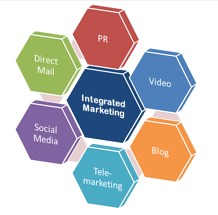 Your marketing communications channels can work together in pushing your direct mail message out beyond your mailing list. This builds your potential audience, extends your reach, and keeps the momentum going long after the mail piece drops through the mail slot. Ideally, you’re working with a reputable direct mail printer. They should offer print fulfillment services, on demand printing, design and format consultation, and definitely mail expertise. Why are all of these special yet distinct services key? Because your direct mail campaign is like a symphony: It only makes beautiful music when all of the instruments do their part. They have to be in tune and they have to be in sync.